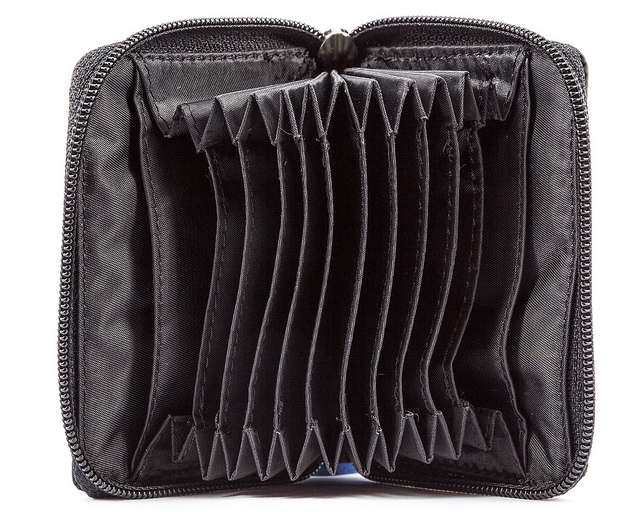 Our business card accordion case from Big Skinny has 11 gusseted pockets designed to organize and secure all those important contacts. 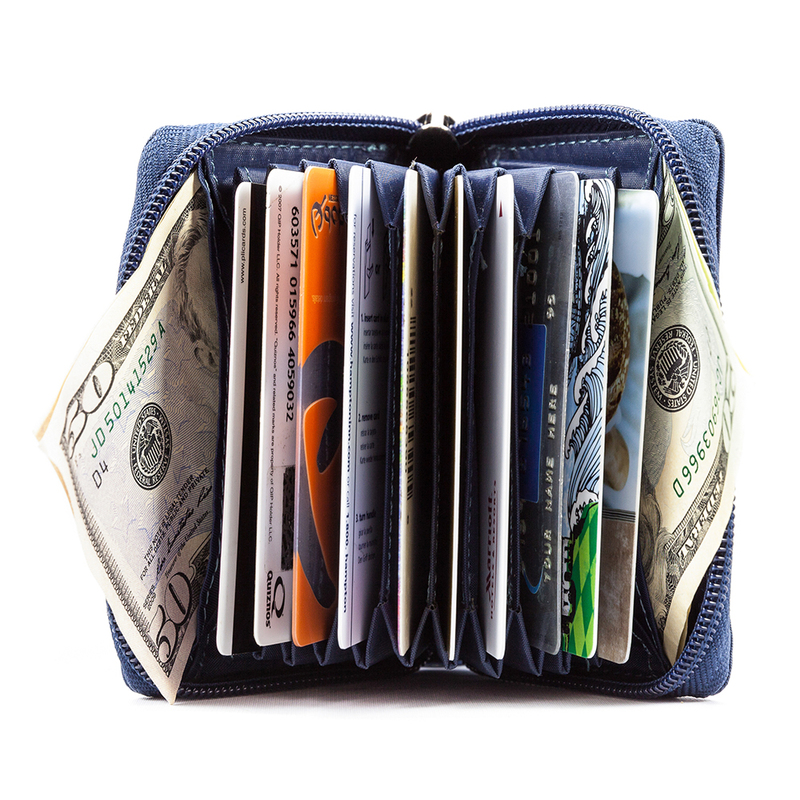 Plus, you can use it as a wallet. 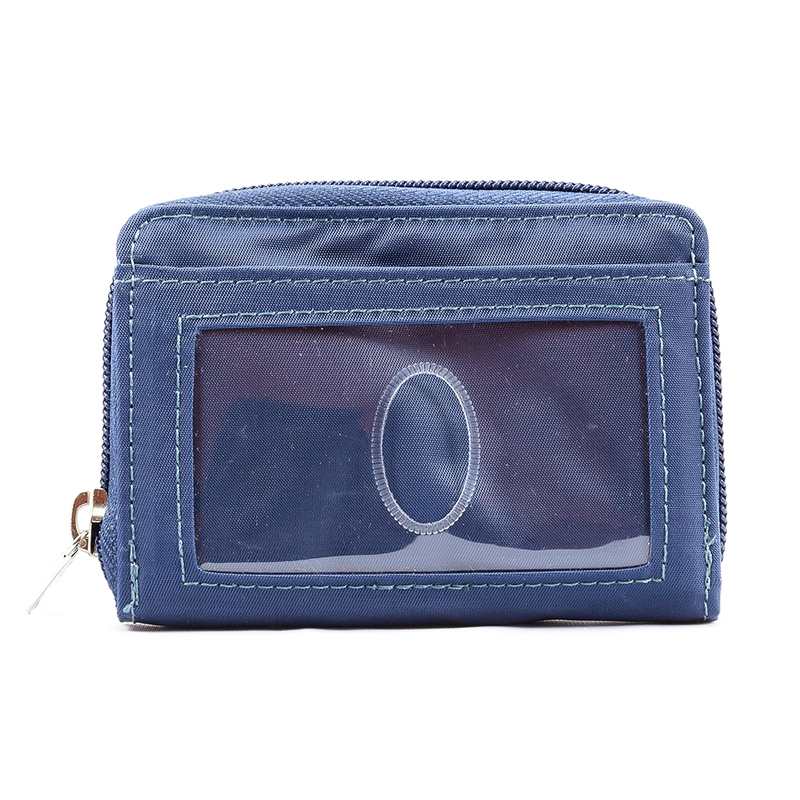 This soft-sided card case has an exterior clear ID pocket that can hold up to five plastic cards and two interior side pockets to hold your most important cards. 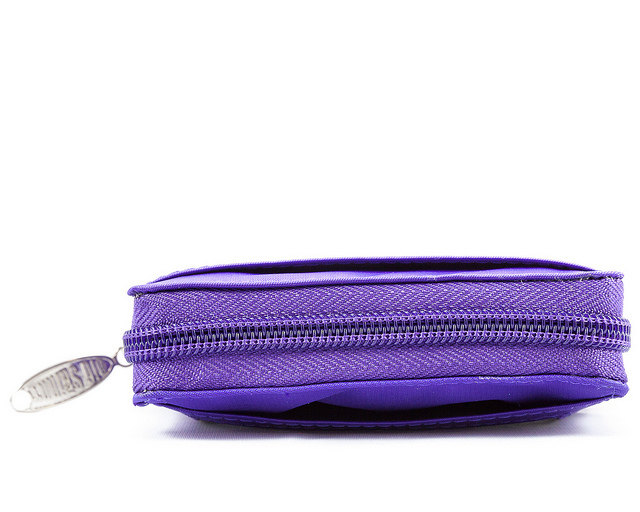 We've got an extra outside pocket, too, for easy access to your business cards. 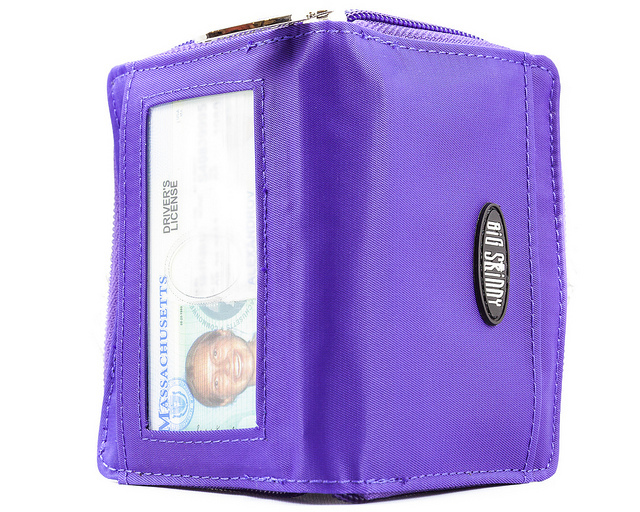 A zippered enclosure secures all your cards. 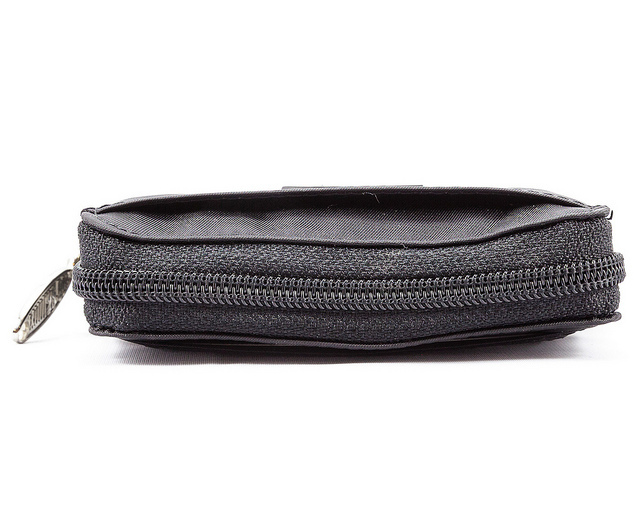 The zip pull can accommodate a wrist strap or key ring. 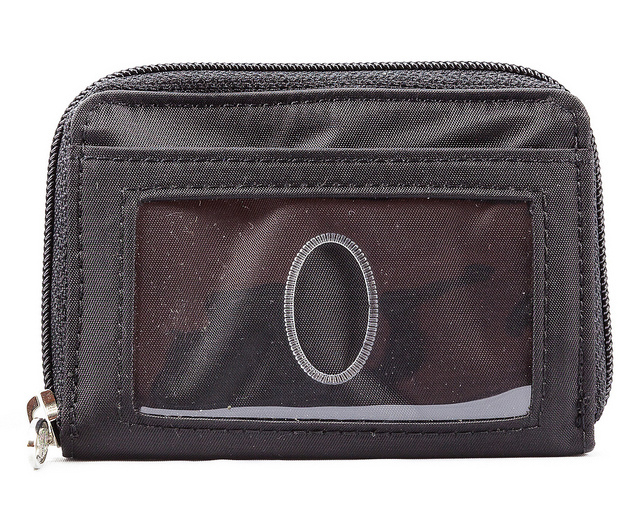 Here's the amazing part: this phenomenal business/plastic card holder is only 20mm thin when empty. That's because it's made of our proprietary nylon microfiber that's tough, water resistant and also the world's skinniest wallet material. 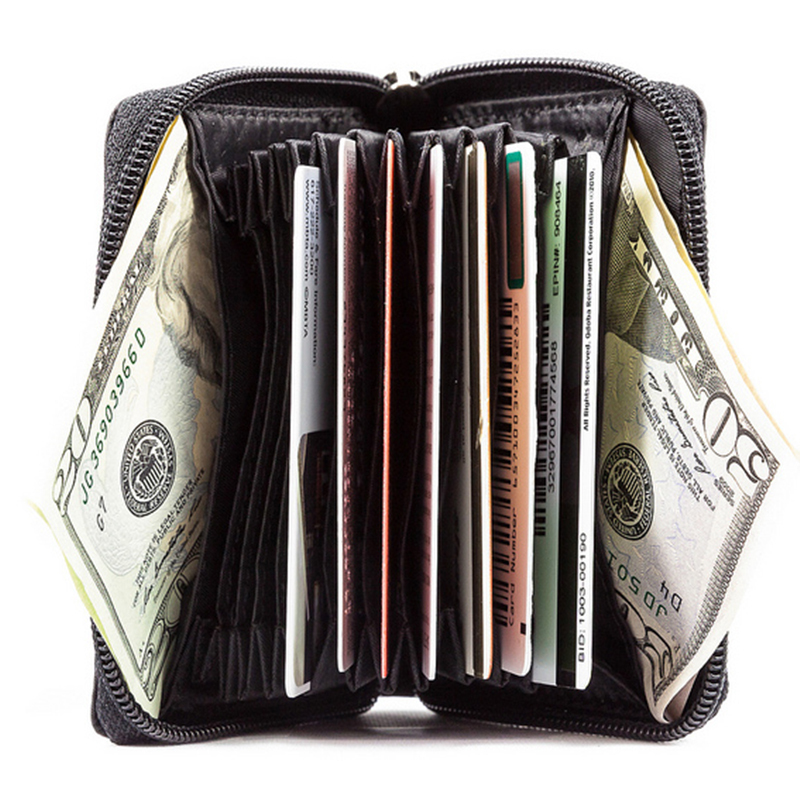 Our accordion card case, which is also a great place to stash your folding money and stray love notes, is 4 1/4 inches by 2 9/16 inches in size. A word to the wise: folks are going to be jealous when they see yours, so order more for your boss, co-workers and very best friends. 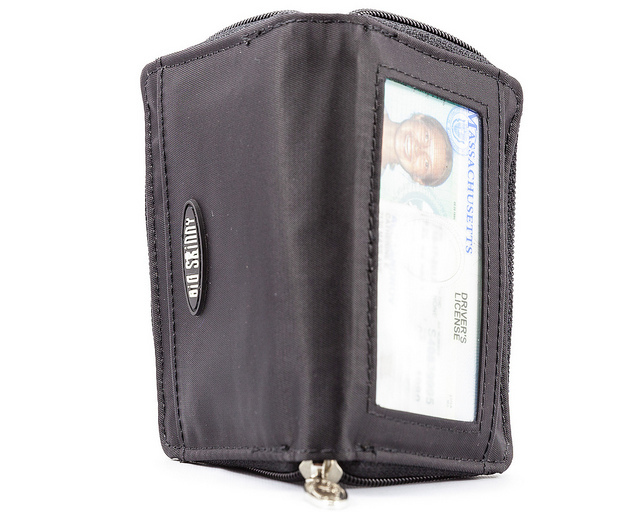 zippered closure ensures your cards are secure and stay clean. This card holder is everything it claims to be. Lightweight, holds a lot, and cleans easily. I liked mine so much that I bought one for my daughter. My only suggestion for improvement would be to make it in coral or cornflower colors so that it is easier to see in the dark depths of a handbag. 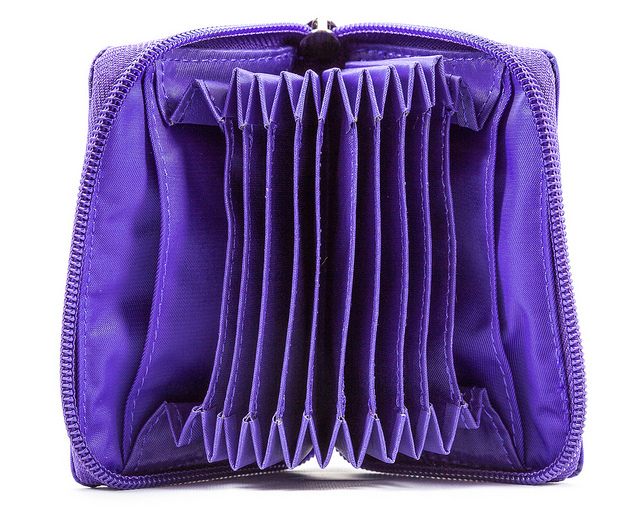 However, of the 11 Big Skinny items I own (clutches, coin purses, card holders, taxi's, phone cases), this is the only one I find to be over-priced. 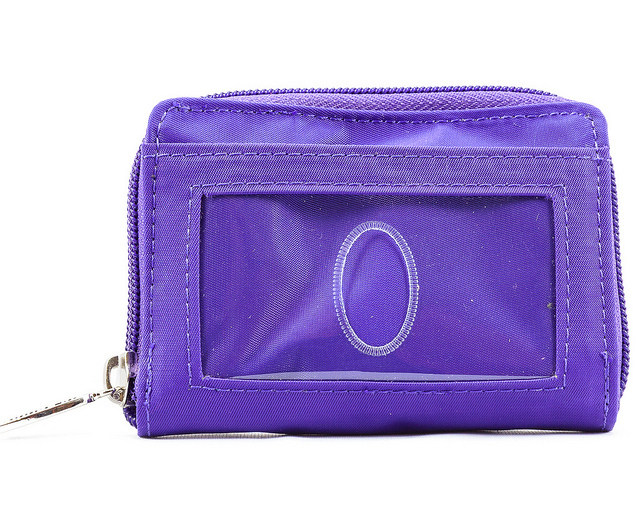 I never carry money in a wallet, so I just wanted something compact for carrying license, bank cards, etc. This case fits the bill. Prosplenty of slots for many cards. Conscarried in hip pocket, eventually your body heat will soften the adhesive in the accordion folds so the cards may stick inside. 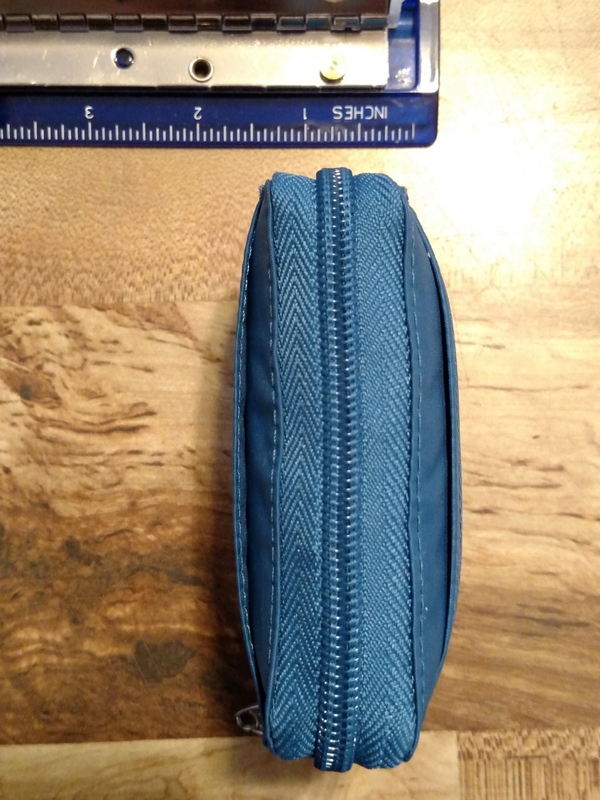 Small durable and holds a lot. Great product, this is my second one. ProsDoes not take up a lot of room but holds a lot of cards. 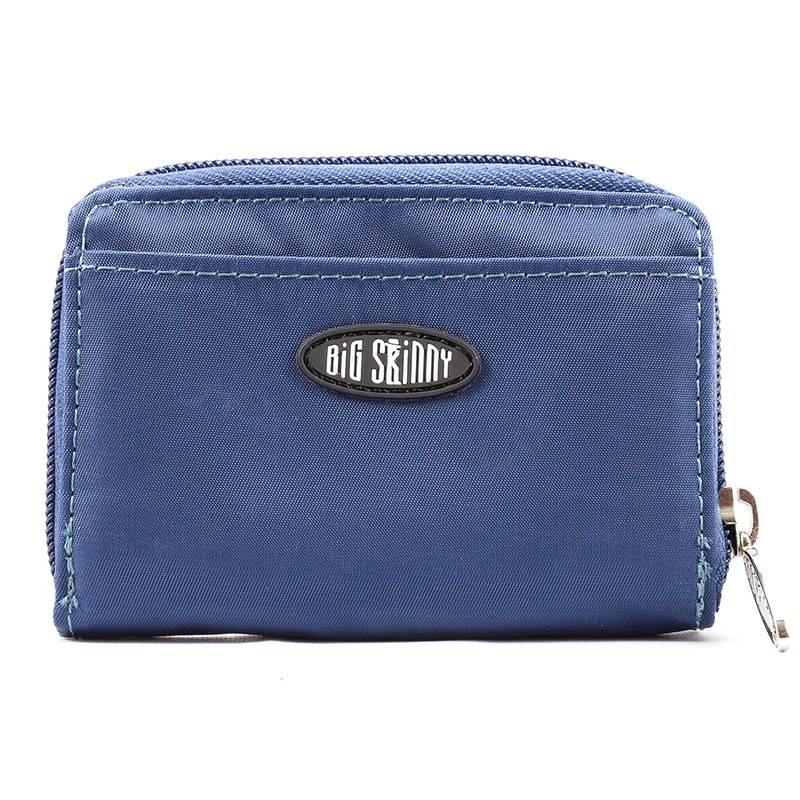 Holds tons of cards and zips shut. Perfect. Prosholds a lot of cards. Well over a year ago, as a solution to encourage myself to naturally drink more water, I started carrying a variety of tasty, individually-wrapped tea bags with me. At first, I tried Ziploc bags - those broke. 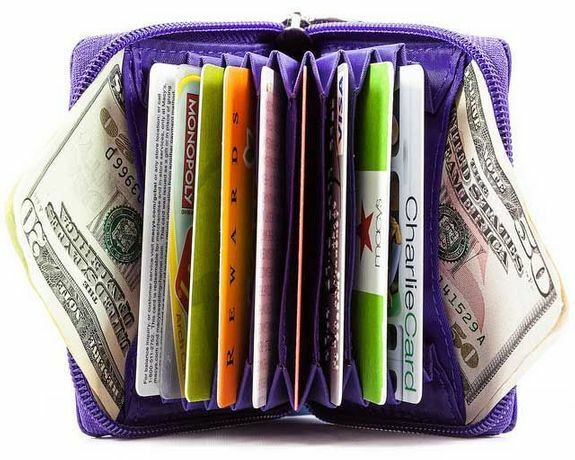 Then, I tried a spare wallet (from my pre-Big Skinny days before my Taxicat Bi-Fold Wallet) after discovering tea wallets - I couldn't fit the bags well because the packaging makes them a lot thicker than credit cards, and both mine and the online ones I found were HUGE. 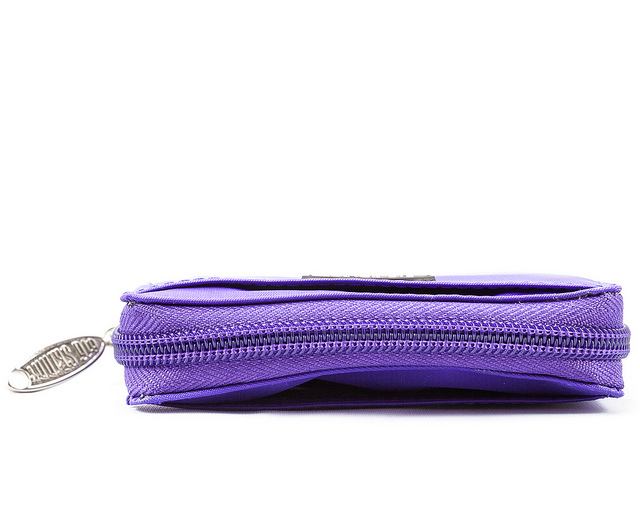 I then searched for a small, cheap coin purse/pocket or similar and (surprisingly) couldn't find one locally. 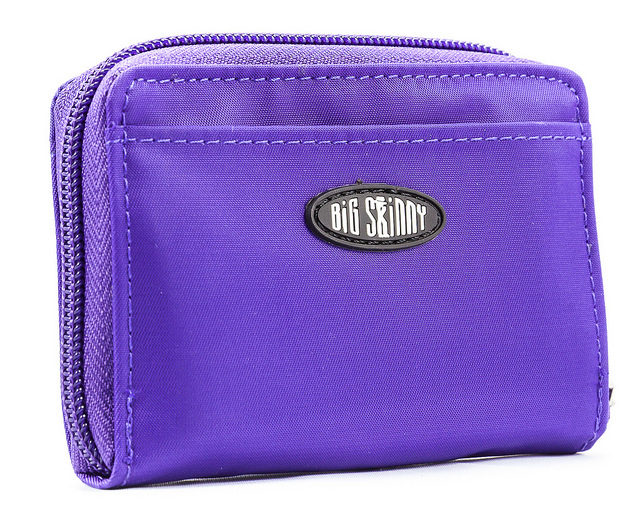 Then I thought, "Why not see if Big Skinny has a slimming tea wallet." It turns out they don't that I could find (*hint hint*), but I tried this Polka Accordion Card Case, and after using it for a bit, I've found it works very well. 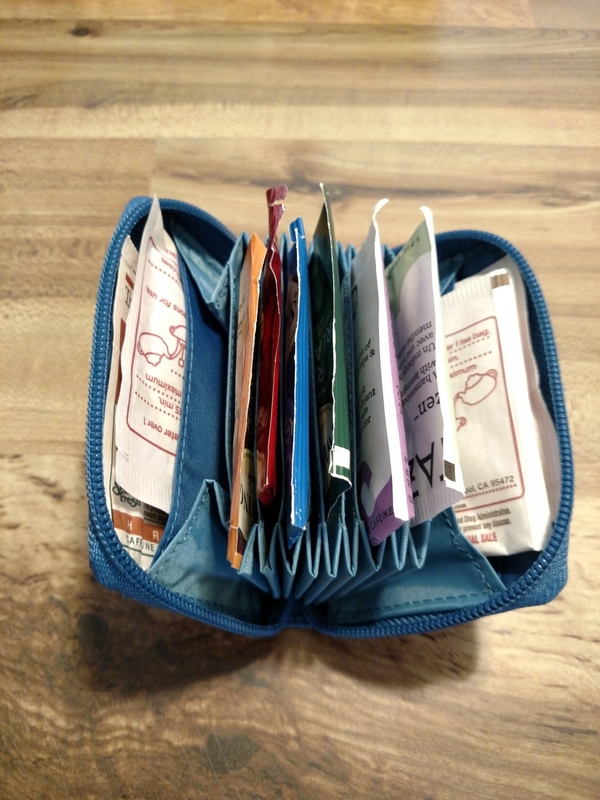 I can fit bags in just about every other slot for around 9-10 tightly plus 2 on the outside pockets if I'm pushing it, and it's severely compact for a tea wallet. It might be a better fit if it were a little taller, but I'm happy I finally have something that works well. 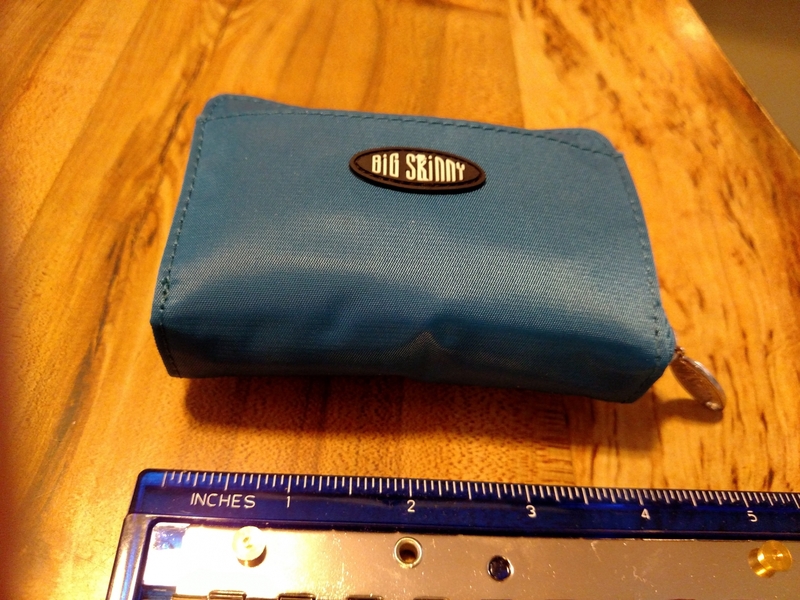 Also, as a bonus, I might add I bought a blue one, so it was different from my black wallet, and it's a nicer color than I could tell from the picture. Work great. Now my cards are lined up. Face all the same way and are in order of frequently used cards first. I use this for membership cards and gift cards to keep my Big Skinny wallet light and easy to find the important things in. ProsPerfect for keeping everything safe / dry / secure and in order.